Too much in your mind, mind map it! With the coming of the information age, comes information overload. If you’re like me who reads constantly to keep up with technology, your mind can get overloaded with so much – acronyms, concepts, theories, how-tos – you name it. So the question is: what do you do with all that information stored in your mind (read: brain)? The answer is mind map it. I’ve been fond of using mind map software because it helps me orgranize my thoughts and note them down. This gives me a lot of benefits, but the best one is it makes me see things clearer because I’m able to visualize it; it also affords me a knowledge-base of sorts, which I can later read again. 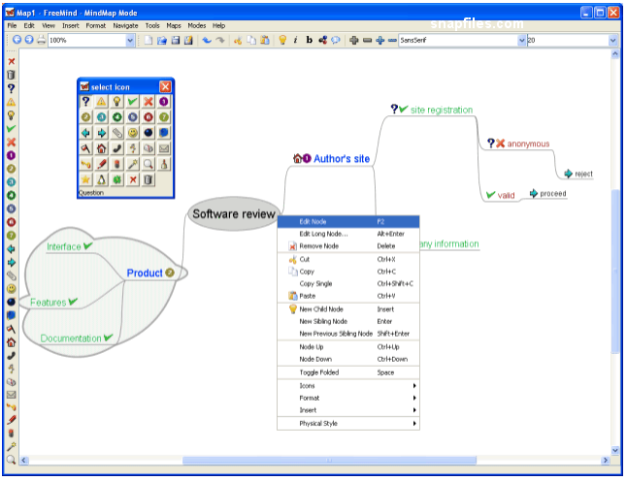 According to Wikipedia, a mind map is a diagram used to represent words, ideas, tasks or other items linked to and arranged radially around a central key word or idea. It is used to generate, visualize, structure and classify ideas, and as an aid in study, organization, problem solving, and decision making. 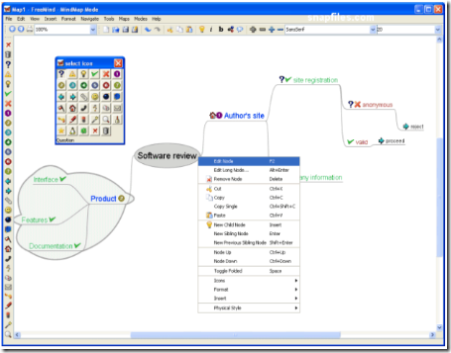 There are quite a few mind mapping software packages available (google it), but I use an open-source app called FreeMind. Check it out and start mind mapping and brain dumping all the stuff in your brain! Posted on April 8, 2007 Categories Productivity, ToolsLeave a comment on Too much in your mind, mind map it! Yumex is a yum extender that provides a GUI for package management. I had written recently about my upgrading from Fedora Core 1 to Fedora Core 6, and one major, annoying issue I encountered was with the yum updates. I encountered approximately 5 conflicts and about 2 dependency errors. I believe it was with php-do and php and some elib libraries. I know, I know. You’re thinking, “if it ain’t broke, don’t fix it,” right? Well, unfortunately, I can only take so much of that. So, with the mission at hand, I started googling for fixes and finally found a thread about yumex. I yum installed it, went into init 5 (I run init 3 by default), vnc‘ed into my box and run it. After having used it, I strongly recommend you give it a try, especially if you have problems updating via a terminal window. What yumex gives you is the freedom to update only certain packages via a click-and-process method; for example to fix my problem, I updated 15-20 packages at a time, continuously went through the list until I came across the offending package. I then took care of problematic ones one-by-one. Posted on April 7, 2007 Categories How-to, Linux, ToolsLeave a comment on Yumex to the rescue! Blogs and Wikis: Why just now? According to Wikipedia, a blog or weblog is a user-generated website where entries are made in journal style and displayed in a reverse chronological order. A wiki, on the other hand, is a website that allows visitors to add, remove, edit and change content, typically without the need for registration. As you can see, the pros outweigh the cons – this, of course, are my own personal thoughts on it. What I’m trying to say is, if used right, these two technologies can free you. Posted on April 6, 2007 Categories Blogging, CareerLeave a comment on Blogs and Wikis: Why just now? I was initially sold on installing RHEL ES 4 (I had the disks already), but my server had problems with the “transferring image to install…” phase. So, I took it as a sign to stick with Fedora, which I was happy about since I’m used to it. More importantly, however, it was an opportunity to try out the new Fedora Core release. So with tools in hand, I backed up all my scripts and website files and installed Fedora Core 6 last night. It took about 4 hours to install and configure – in fact, I started a “how-to” on my wiki, just in case I have to do it all over again. OK, so enough of the rambling. This post is, after all, about iptables (hats off to to the netfilter.org guys/gals and thanks to Dan Farino for helping out with this). BTW, I had to disable the security firewall on Fedora to have more control over the firewall. Simple enough, huh? Hopefully, you can make use of this script to build your personal *nix firewall. Take care. Make sure /proc/sys/net/ipv4/p_forward is ‘1’ and both ip_conntrack_ftp & ip_nat_ftp modules are loaded (use modprobe modulename). I built an ASP.NET 2.0 web application [for the company I work for] that streamlined the deployment process to our production environment. It processed, tracked, archived, and notified automatically on each step of the deployment process. That’s it! Using text highlighting in your GridView not only makes it look “pretty,” but also emphasizes a record’s importance based on colors.